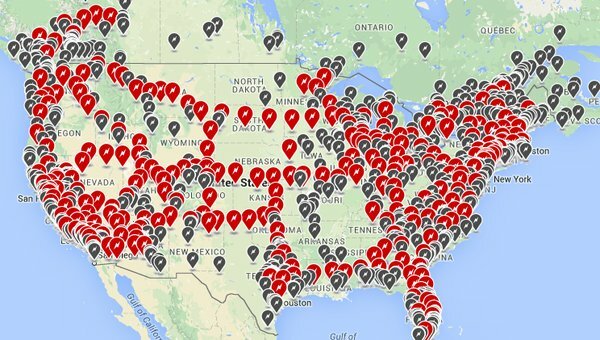 Manhattan will soon be home to as many as 3 times more Tesla electric vehicle charging stations than gas stations, following the company’s recent decision to expand the destination charger network there. The decision to expand the Tesla electric vehicle (EV) charging infrastructure in the densely built Manhattan island portion of New York City has precisely focused on garages — with the majority of the destination chargers in question being installed at popular garages throughout the area. The company is apparently aiming for there to be a destination charger every 3 blocks or so in Manhattan by September — presumably in anticipation of surging demand following the Model 3 launch next year. The company also recently opened a new showroom and service garage nearby — not in Manhattan, but rather in Red Hook, Brooklyn. The company maintains a showroom in Chelsea as well. Looking to make driving less of a pain for the 1,500 owners of its electric cars in the Big Apple, Tesla motors plans to greatly expand its network of Manhattan charging stations to 105 by March 31, The Post has learned. Each will be able to provide a full charge in as little as four hours — and most will be free to Tesla owners.